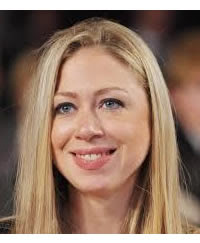 Chelsea Clinton quit her job as a reporter for NBC News. The daughter of Bill and Hillary Clinton was working for the network since 2011, making sporadic reports on individuals or organizations that do work in a spirit of solidarity. The Politico reported earlier this year that NBC was paying her $ 600,000 a year. The network announced her departure on Friday. Initially hired as a reporter for the magazine "Rock Center" Brian Williams, but that program was canceled. Her work occasionally appeared on "Nightly News" on NBC. Clinton and her husband, Marc Mezvinsky, announced in the spring that are expecting their first child.